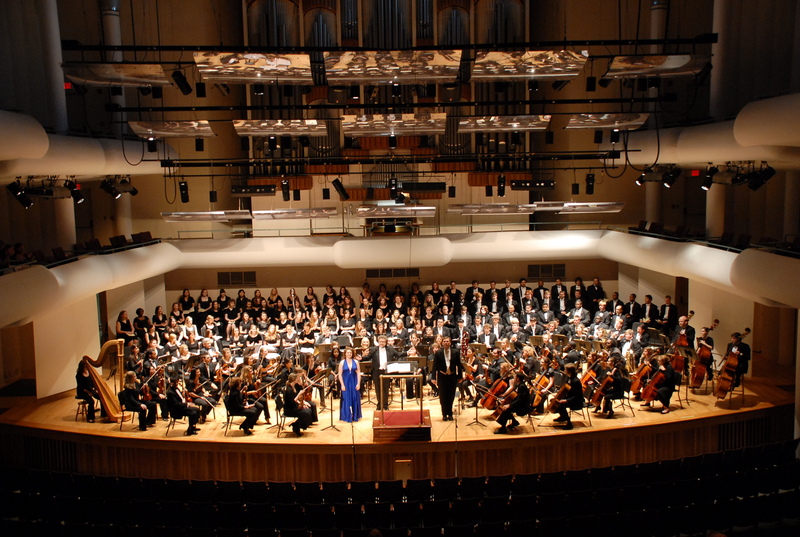 The UA University Choirs include Chamber Choir, Women’s Chorus, University Chorus, and University Singers, the premier vocal ensemble in the School of Music. See below for information about each ensemble. The University Singers is the premier vocal ensemble of the UA School of Music. University Singers is open to all UA students, undergraduate and graduate, regardless of major. Membership is by audition only. Open auditions take place each spring for the following school year, and members are expected to make a yearlong commitment. Additional auditions are held in August and December if space is available for the upcoming semester. This ensemble provides a challenging and exhilarating environment for voice majors and talented choral enthusiasts. University Singers performs a wide variety of repertoire, including significant contemporary works, spirituals, world musics, and masterworks of the historic choral canon. See the University Singers page for audition information and additional background of this prestigious ensemble. University Chorus is open to all UA students, undergraduate and graduate, regardless of major. 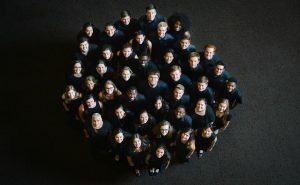 This ensemble is comprised of vocal and instrumental music majors as well as non-music majors who want to build on their past music experience. 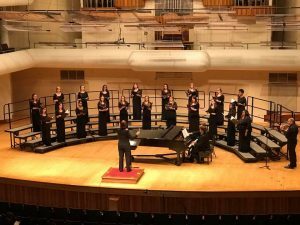 University Chorus performs a variety of challenging music from throughout history and around the world; and often combines with the University Singers to perform choral-orchestral masterworks. They have performed around the local community and at the Alabama ACDA Invitational Choral Festival. Rehearsals emphasize development of vocal technique, ensemble listening skills, musical interpretation, and expressive communication. To join University Chorus, simply register for the class. No audition is required for the University Chorus, but it is recommended that new members of the University Chorus either have some previous choral singing experience; OR have experience playing the piano, guitar, or an instrument in a school band or orchestra. The UA Women’s Chorus is open to soprano and alto singers of all experience levels, from beginning to advanced, regardless of major. New members are welcome at the beginning of each semester. 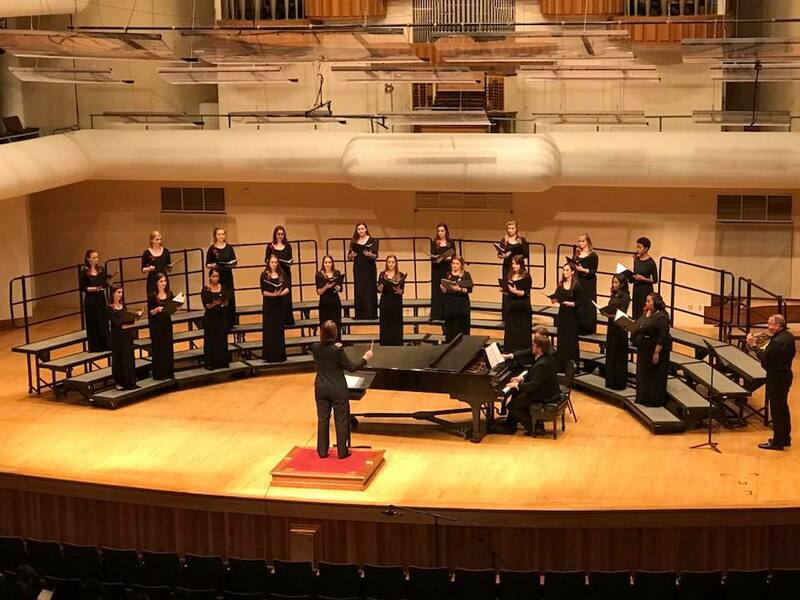 Women’s Chorus performs concerts every semester in the Moody Concert Hall and also performs at community events both on and off campus. Women’s Chorus prepares a wide variety of high-quality music through a collaborative rehearsal process. The ensemble provides an enriching and enjoyable environment for singers to enhance their vocal technique and develop strong musicianship skills. Together we strive to touch hearts and inspire others through our music-making. To join Women’s Chorus, simply register for the class. No audition is required for the Women’s Chorus. Chamber Choir is open to all UA students, regardless of major. To join Chamber Choir, simply register for the course. This ensemble is primarily conducted by advanced University of Alabama choral music students. 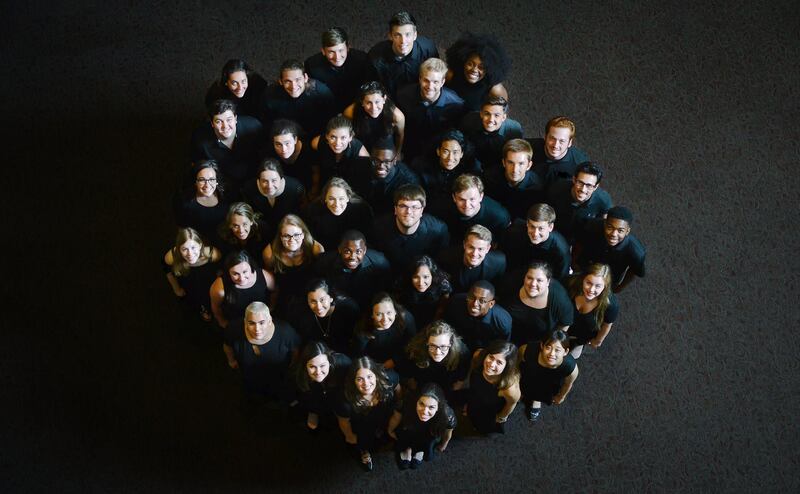 Chamber Choir will provide singers the opportunity to experience a broad spectrum of choral ensemble music, most of which will be suitable for programming in a traditional public school choral music setting. 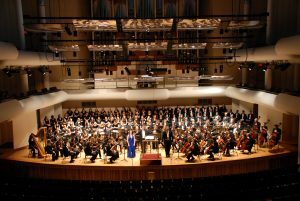 While experiencing breadth of repertoire will be a key philosophical component of this ensemble, high quality choral performance will drive the methodology. In that regard, student directors, through collaboration with the instructor, will prepare and conduct choral selections in a performance every semester. To join Chamber Choir, simply register for the class. No audition or hearing is required.